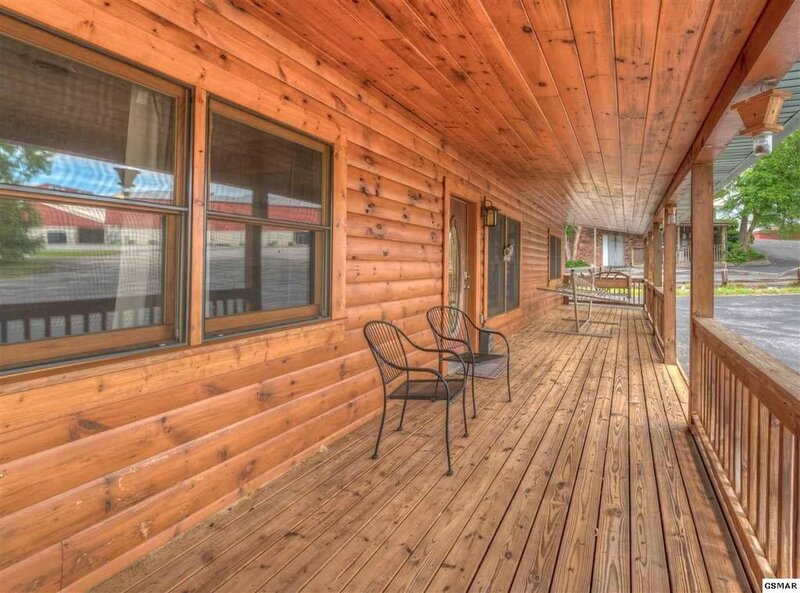 Be at the heart of it all right in Pigeon Forge at the Downtown Getaway cabin! 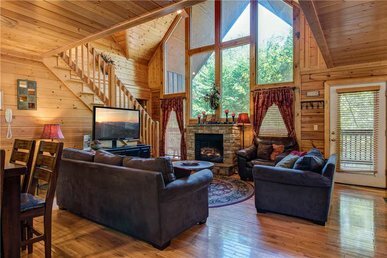 Vacation is all about location and at this cozy cabin, you’re close to all the fun to be had in the Smoky Mountains. Call up your friends, family, and anyone you know will have a good time so you can have the trip of a lifetime! 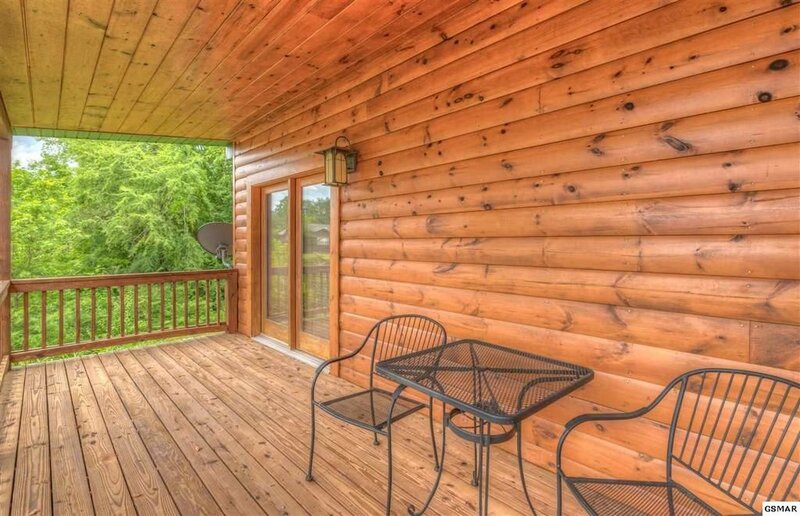 After all, this cabin sleep 17, so you’re in for an unforgettable trip. Comfort is the name of the game at Downtown Getaway. 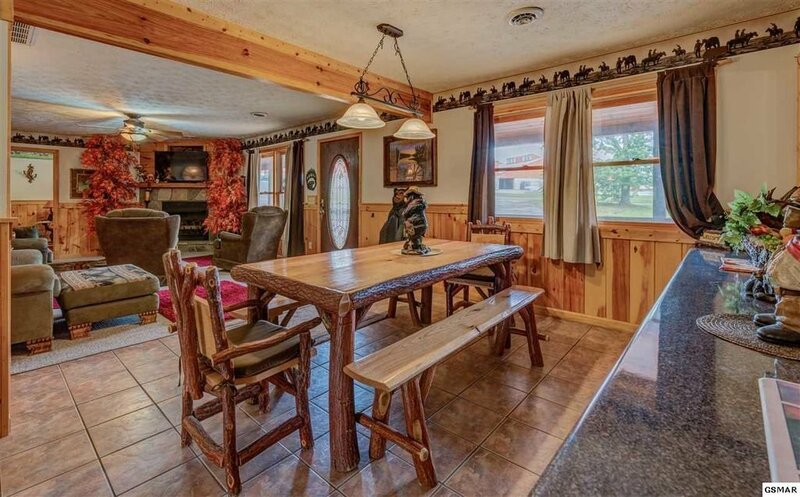 The second you step into the cabin, you’ll immediately feel calm wash over you. You’re welcomed into Downtown Getaway with a living room of plush couches and a gorgeous stone fireplace. 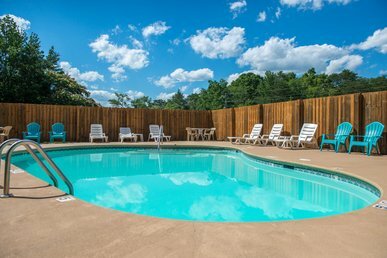 It’s the perfect spot to relax with your crew after a day of adventure in Tennessee. The living room is the best spot to engage in everything that relaxes you. 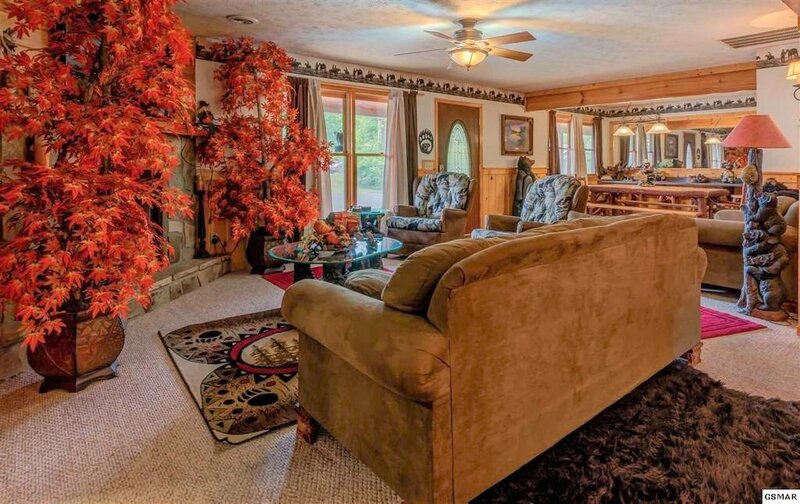 Snuggle up on the couch and enjoy the crackling of the fire. Turn on the HDTV and laugh with a comedy or opt for a bit of romance. Surf the web (and brag about your trip) with a quick connection to the free Wi-Fi. There’s plenty of room for everyone in this space. 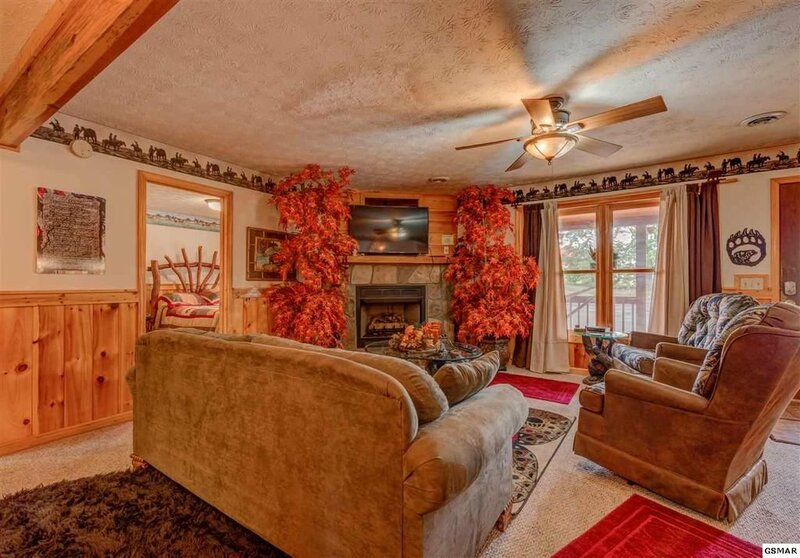 No need to worry about be unable to find a cozy seat by the fire! 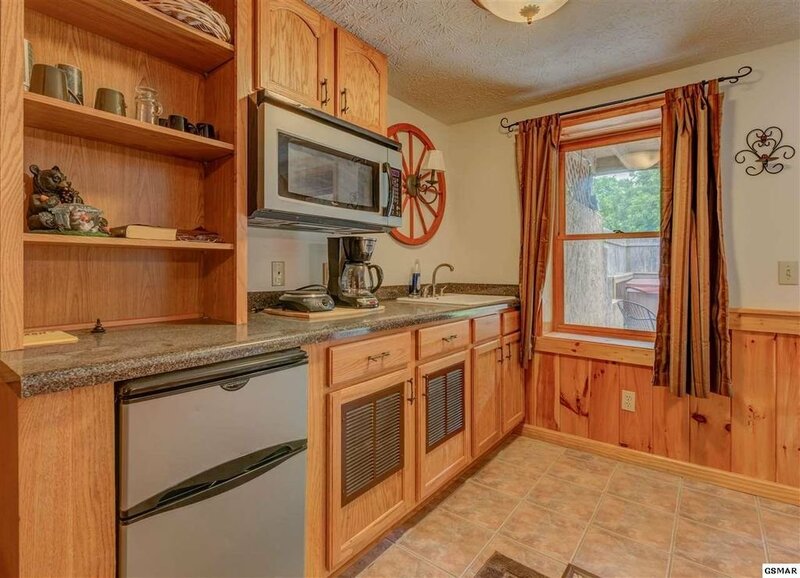 The kitchen at Downtown Getaway is fully equipped with the tools you need to whip up a delicious meal for everyone. 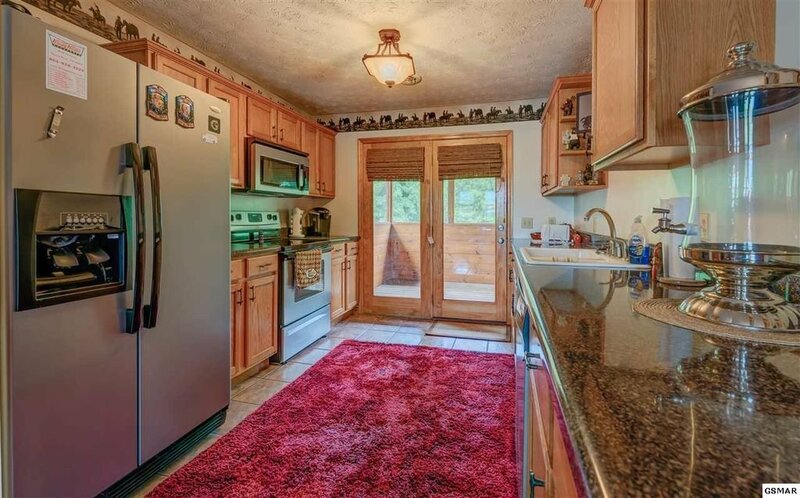 Plus, there’s plenty of counter space, which you’ll need if you’re traveling with a full crew! 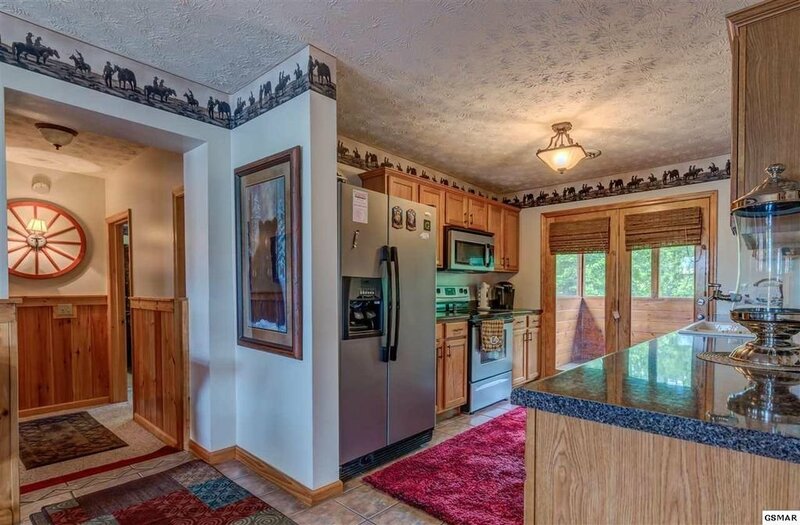 There’s also lots of cabinet space in the kitchen. You’ll be able to stock up on everything you and your fellow vacationers need during your stay. Dining at Downtown Getaway is a fun experience. 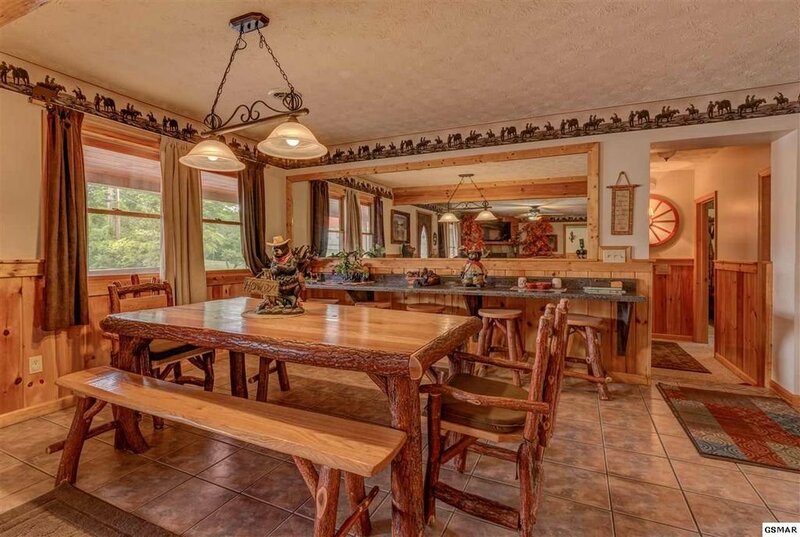 The stylish dining set is the quintessential Smoky Mountain flair. It’s also a great size which makes it perfect for everyone to dine at. That means it’s the perfect spot to play games, too! Whether you want to play cards or a board game, you’re sure to have a fantastic time! 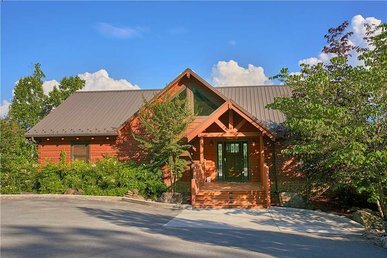 This incredible cabin has a total of 6 bedrooms, so there’s plenty of room for everyone! 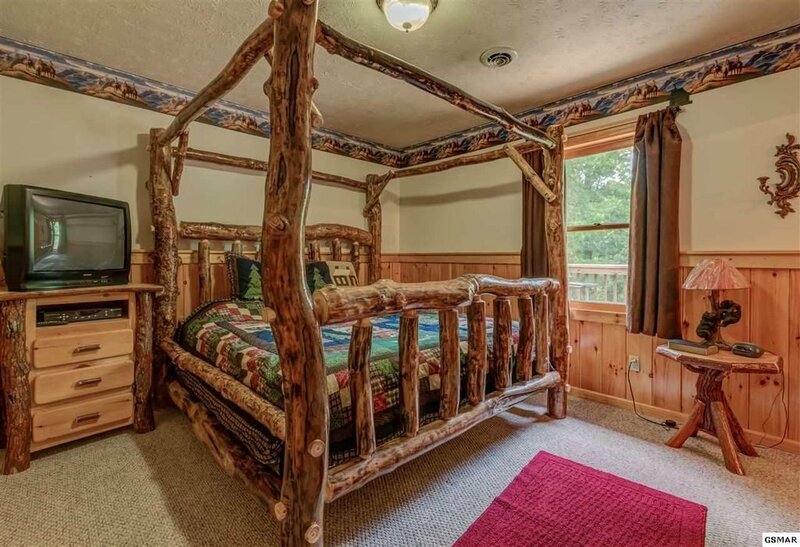 Three of the bedrooms have a luxurious king-sized bed. You and your spouse can snuggle up together and enjoy a relaxing snooze while catching up on some zzz’s. 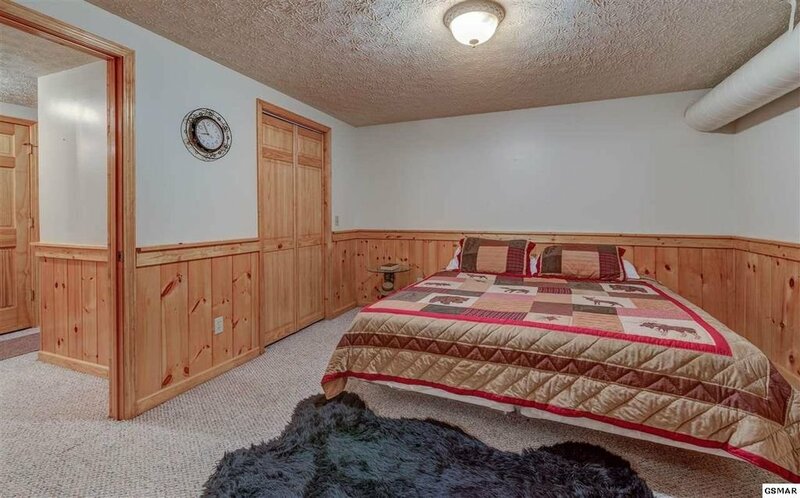 One room has a single queen-sized bed. 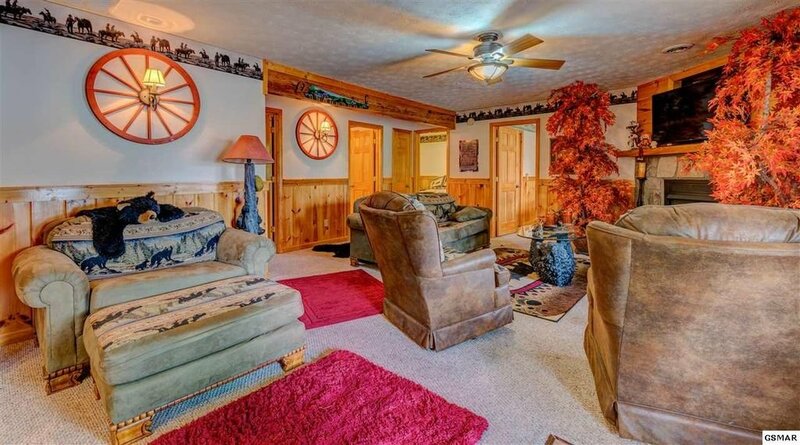 This is a great room for someone that wants a room to themselves or likes to be really cozy with their partner. 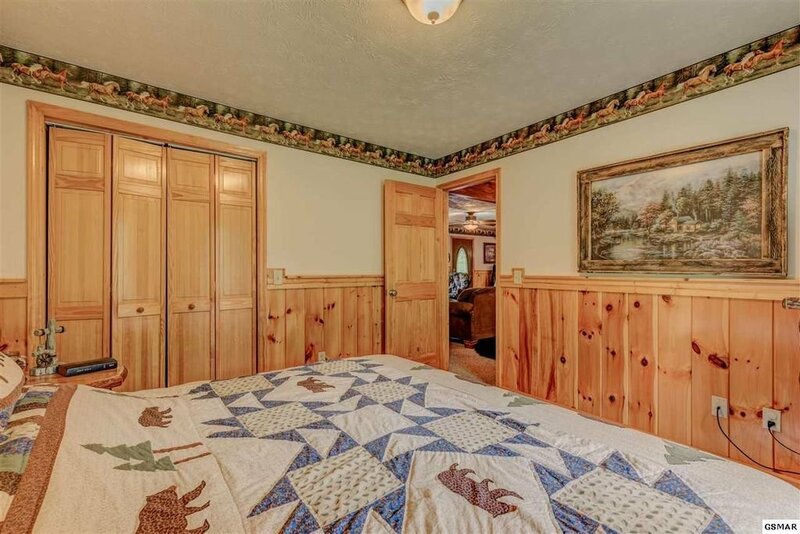 Another bedroom has two queen-sized beds. This is the perfect room if you’re traveling with teenagers, young adults, or couples who don’t mind sharing a room! 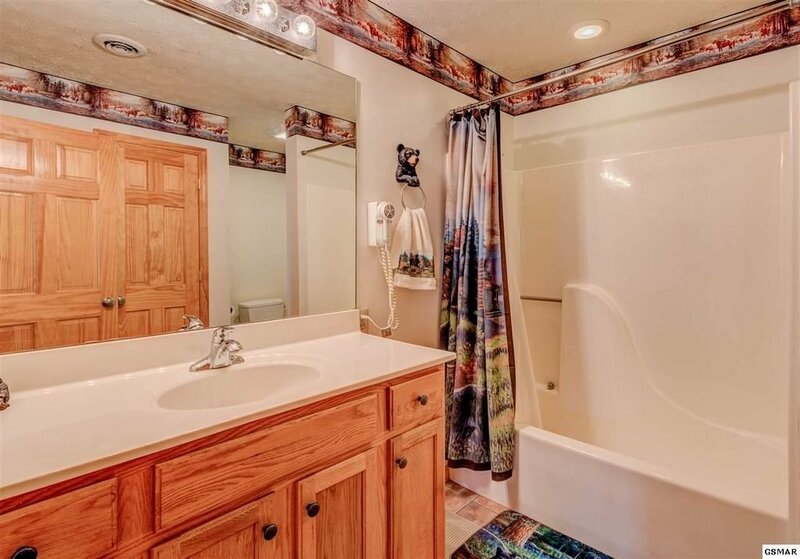 This room also houses the indoor Jacuzzi tub, a great feature everyone will want to enjoy! 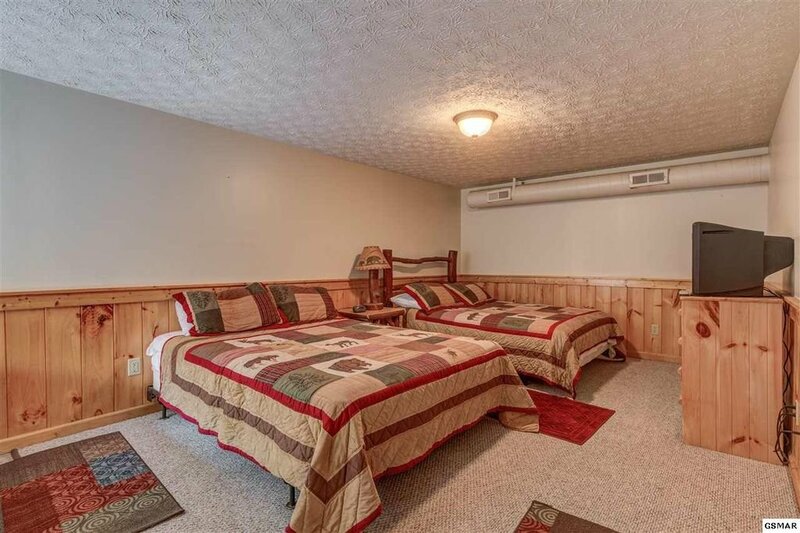 The final room has bunk beds, a great room for the kids. 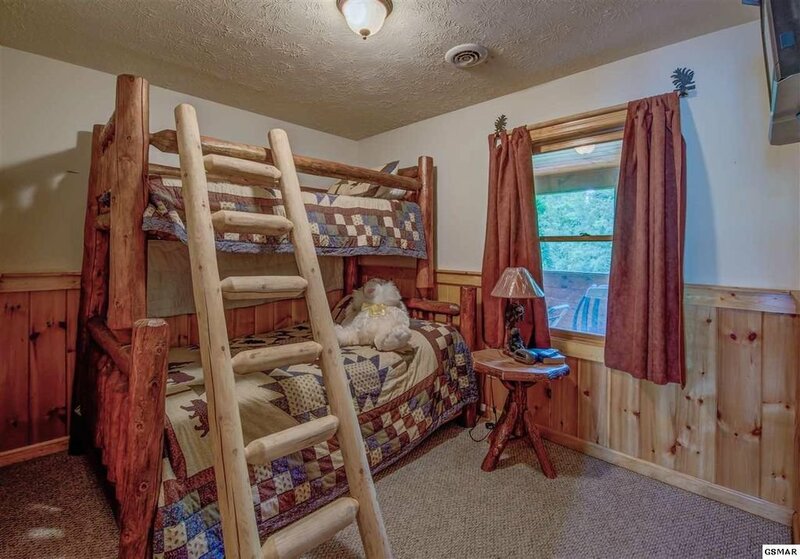 The bottom bunk is a double bed and the top bed is a single. 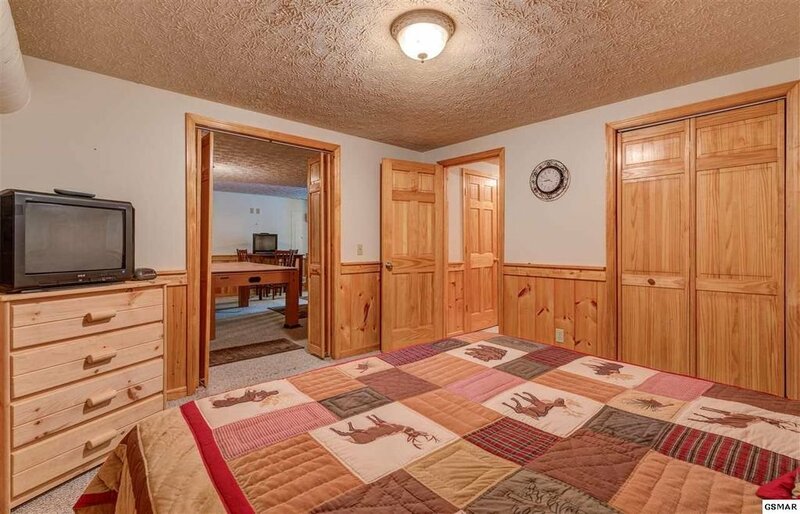 The kids will love this room, it’s like a week-long sleepover party! 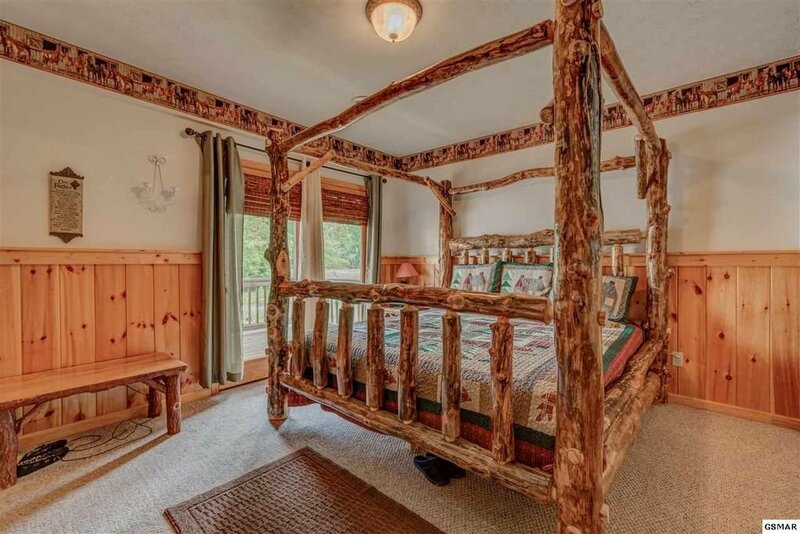 Each of the beds in Downtown Getaway have a unique wooden bed frame that gives you the cozy Smoky Mountain atmosphere. 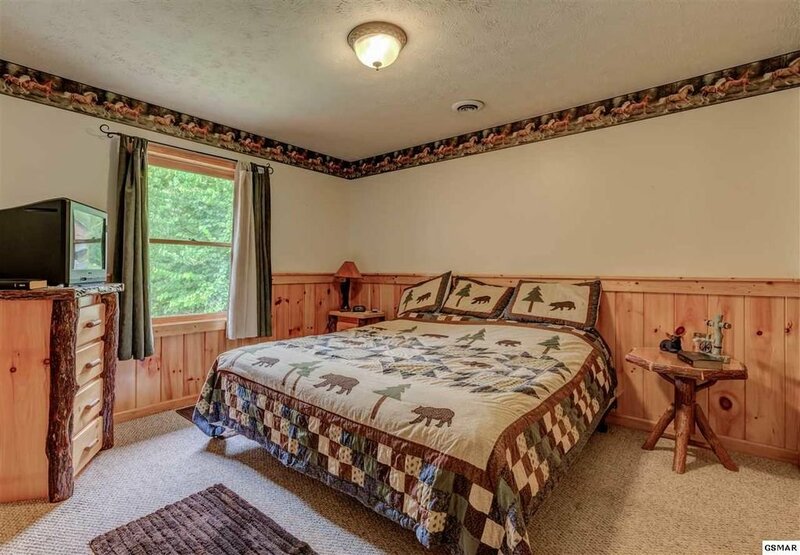 Every bedroom also comes with an HDTV for those who enjoy falling asleep to a movie or TV show. 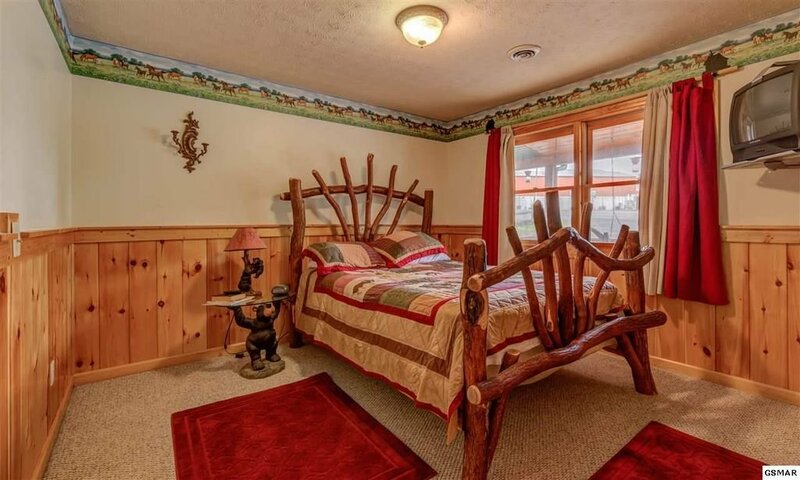 Plus, you can’t beat the comfortable bedding. It’ll make cozying up easy and getting out of bed in the morning hard! There’s nothing worse than not having the space you need to take a shower and prepare for the day while away on vacation. 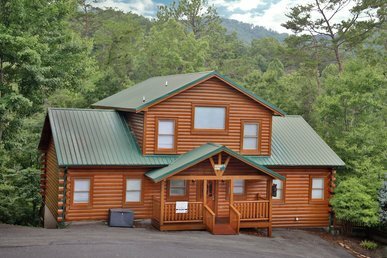 At Downtown Getaway, there are 5 bathrooms in the cabin. There’s no need to fight over who gets a turn! There’s ample space for everyone. If you’re looking for a bit of indoor fun during your trip, you better check out the basement, where you’ll find the game room! 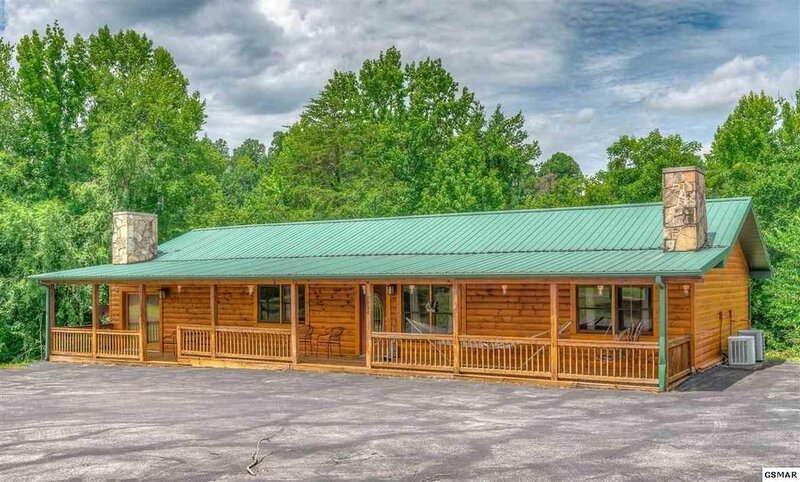 It’s the perfect spot to take your crew in for some real fun. Challenge one of your travel buddies in a game of pool! 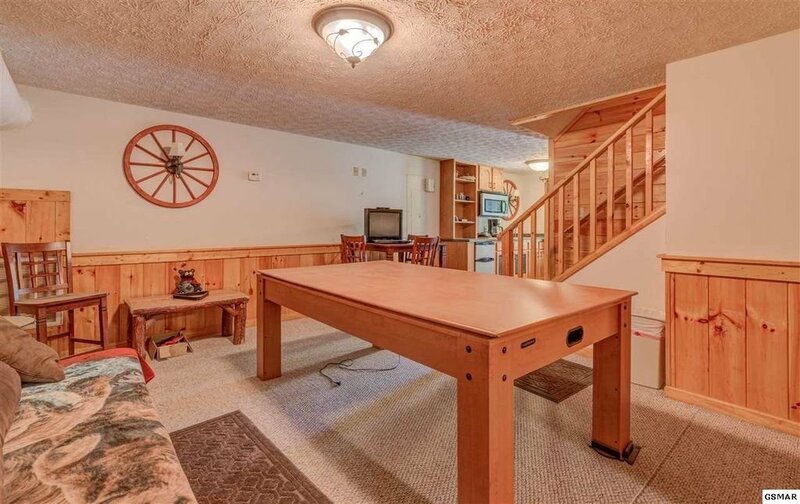 Or convert the table for a convenient game of ping-pong. 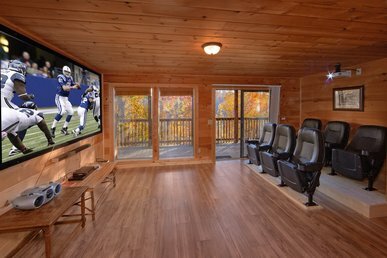 The game room also comes with a wet bar and mini-fridge, so there’s no need to walk far for a nice cold beverage. 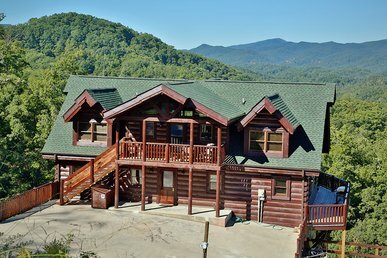 A vacation in the Smokies is incomplete with enjoying the fresh mountain air. 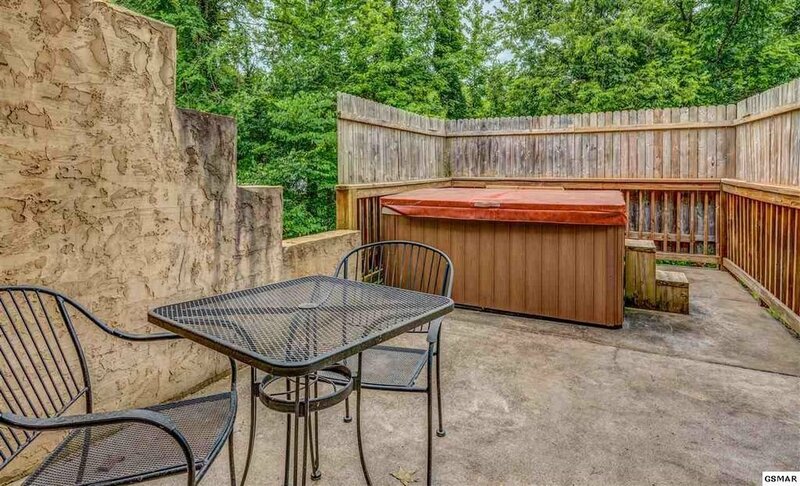 The deck at Downtown Getaway is just the space you need to take it all in. Take your meals outside for a fresher atmosphere. Use the grill to cook up some burgers or steaks. Relax in the morning with a cup of hot coffee or tea. 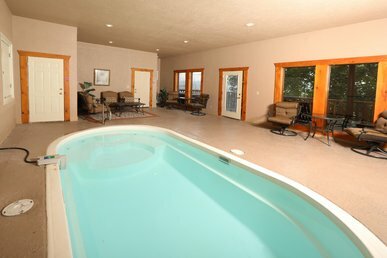 Enjoy a luxurious soak in the hot tub. 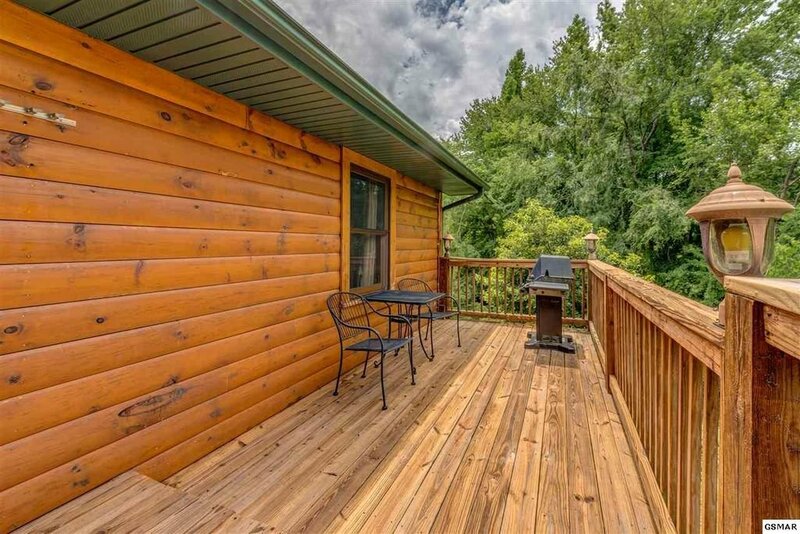 Don’t miss out on all the fun that can be had on the deck! 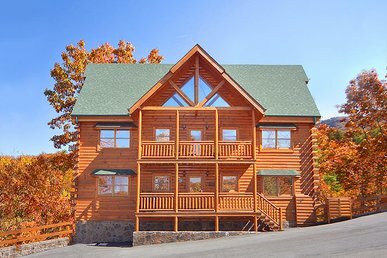 Since you’re so close to town, you’ll want to take advantage of all the fun Pigeon Forge has to offer! If you’re traveling with kids, they’ll love the adventure at Wonderworks. (You can’t miss it, the building is upside down). Love history? Check out the Titanic museum which features real artifacts from the ship and facts about the ship and its passengers. You definitely need to take in a dinner show while you’re in Pigeon Forge! At Hatfield and McCoy, you’re in for a notorious feud and divine comfort food. Be sure to arrive with an empty stomach! It’ll be filled to the brim by the time the show is over. The rivalry doesn’t end with a good old family feud. 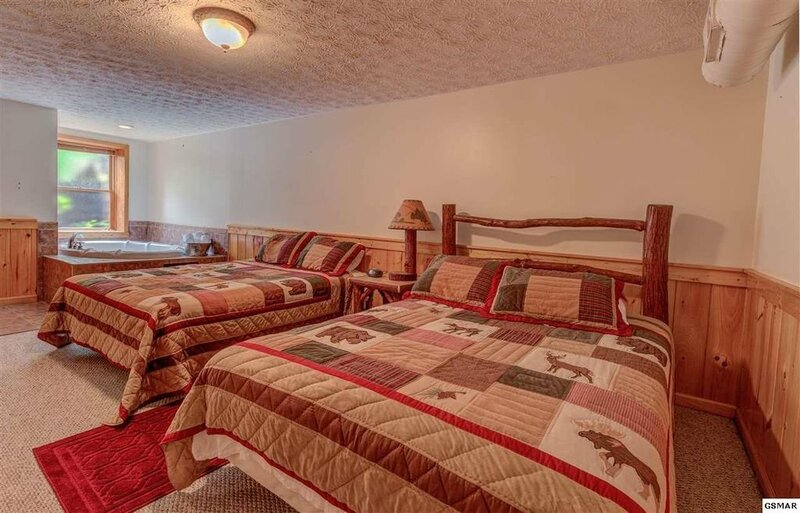 Consider a night at Dolly Parton’s Stampede where the North and South are pitted against each other in some lively competition. If you’re on the hunt for more casual dining, you have your pick of eateries in Pigeon Forge. Smoky Mountain Brewery has the best burgers and fries in town. If you’re in the mood for Mexican, check out Margaritaville. Don’t forget to bring plenty of spending money with you. Along with the quaint local shops along the Parkway, you’ll also want to check out Tanger Outlets. You’re sure to find your favorite store at this mall and you’ll find deals you only dreamed of. It’s time to stop talking about taking a trip with your family and friends and make the decision to GO! Book your stay at Downtown Getaway now and start planning the trip of a lifetime. This is one vacation that won’t soon be forgotten.